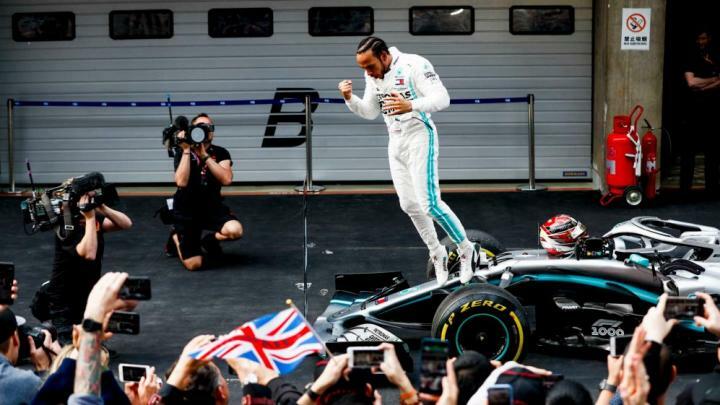 Lewis Hamilton has won the 2019 Chinese Grand Prix ahead of his teammate Valtteri Bottas, securing yet another 1-2 finish for Mercedes. Ferrari's Sebastian Vettel came third. Bottas started from pole position with Hamilton lining up alongside on the grid. The two Ferrari's lined up on the second row. Hamilton took the lead at the start of the race as both Mercedes pulled away from the red cars. At one point Ferrari's Charles Leclerc was ahead of Vettel. With the two Mercedes pulling away and Max Verstappen (Red Bull) gaining on them, Leclerc was asked to let Vettel by. This gave Red Bull the chance to undercut Leclerc's Ferrari. The Monegasque driver finished fifth behind Verstappen in fourth. Pierre Gasly (Red Bull) finished in sixth place ahead of Daniel Ricciardo in the Renault. Racing Point's Sergio Perez finished in eighth place, while Kimi Raikkonen (Alfa Romeo) finished in ninth. Toro Rosso's Alexander Albon came tenth. McLaren's Lando Norris and Torro Rosso's Daniil Kvyat, who collided on the opening lap, retired from the race. Renault's Nico Hulkenberg also retired due to a technical issue. Pierre Gasly set the fastest lap of the race. 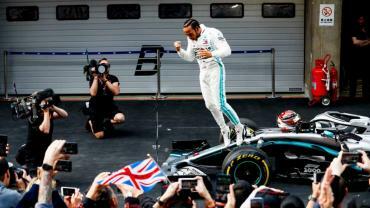 Lewis Hamilton now leads the Driver's Championship with 68 points. The next race will be held in Azerbaijan on April 28, 2019.